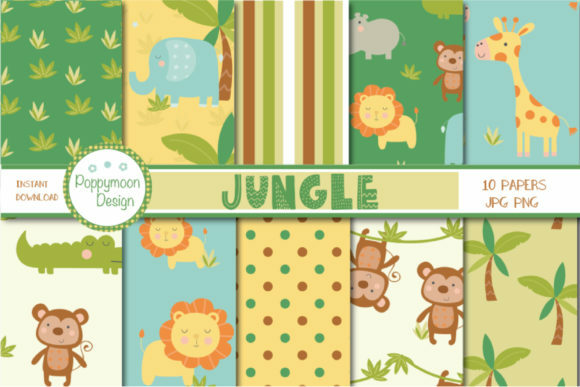 A very cute jungle paper pack. Patterns include,animal themes, polka dots, leaves and stripes. 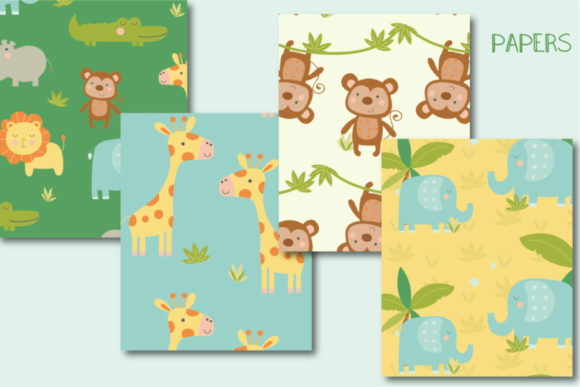 Perfect for party invites, scrapbooking, greeting cards and all your jungle crafting. 10 coordinating jungle papers, paper sheet size 12″ x 12″, file format JPG. Coordinating jungle clipart can be downloaded separate.